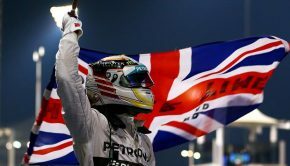 As 2018 won’t see any major regulation changes following on from Lewis Hamilton’s fourth driver’s title, the focus on the new this year falls on a circuit that is in fact anything but. 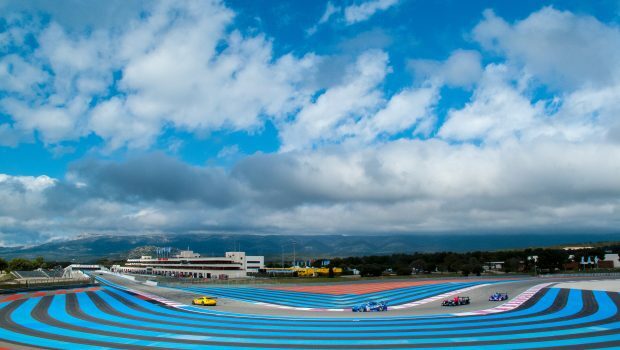 Last used 28 years ago, the Circuit Paul Ricard was home to the French leg of the Formula One calendar for 14 seasons between 1971 and 1990 before the organisers switched the Grand Prix away from Le Castellet to Magny-Cours. Technically, this layout of the track hasn’t seen a F1 race since 1985, where the circuit switched from its original length of 5.809km to a shorter, ‘club’ version, removing the loop around Saint-Beaurne and the first half of the colossal Mistral Straight. The track has not, however, been left exactly the same as it was 33 years ago. In keeping with the push on safety this season, epitomised by the ‘halo’, the 1.8km of tarmac before the terrifying right-hander of Signes has been split right down the middle, where a right-left-right chicane has been introduced. According to the director-general of the circuit, Stephane Clair, this new feature will create a more of a “spectacle” for fans, as it introduces a huge braking zone to aid overtaking. Whilst this has been so far unpopular with the supporters, he goes on to make the valid point that F1 cars reach their top speed in far less time than the straight anyway, making it pointless to have nearly 2km of a car at full speed with next to no overtaking. Despite the introduction of a chicane to slow the cars down, the organisers did nothing about the aforementioned Signes corner, a right-hander that, according to FIA simulations, will be taken by drivers at 343 km/h. Whilst Mexico decided to replace the famous Peraltada corner for safety reasons, the decision to keep Signes in France helps to balance the fine line that the FIA have drawn between safety and excitement. Beyond the history of the layout itself, the track in fact made history back in 1990, when it helped to spark the career of one of F1’s great designers. 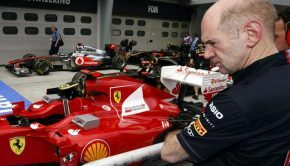 Already a famed IndyCar designer, Adrian Newey was looking to get a foothold in F1. Whilst working at March, he helped to design both F1 and IndyCars before the team was bought out by their title sponsor Leyton House, a Japanese real estate company. At the last Grand Prix held in the south of France, Newey’s Leyton House 881 car, the first from which he designed from scratch, featured a host of aerodynamic traits that are now considered standard practice across the grid. The driving position, front wing design and other aerodynamic features all culminated in Le Castellet, when Ivan Capello and Mauricio Gugelmin both drove their cars from seventh and tenth on the grid into first and second for much of the race, before Gugelmin was forced to retire and a misfire meant that Capello finished second. Leyton House’s Judd engine was way down on power compared to the rest of the field, especially compared to the top teams of Williams, Ferrari and McLaren at the time. As a result, the aerodynamic capability demonstrated by the 881 helped to catapult Newey from a successful IndyCar aerodynamicist into a sought-after F1 designer. As a result, both through his talents at the drawing board and due to the arrest of Leyton House’s team owner and the constructer’s eventual demise, Newey moved in 1990 to Williams, where he would design arguably the most advanced Formula One car ever made, the FW14b. Since moving to Williams, on to McLaren and now Red Bull, the 59-year old has amassed 10 constructor’s titles to his name, more than any other designer in the history of the sport. 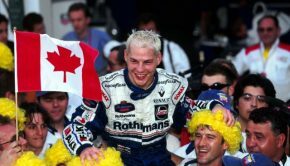 After finishing second all those years ago, it seems as though Newey and Red Bull may well have to settle for second-best again on 24th June. 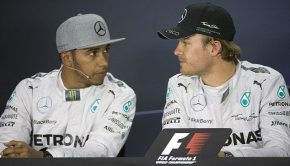 After the second test in Barcelona, Mercedes once again look ominously quick on harder tyres than the rest of the field, and Paul Ricard’s clear need for out-and-out speed will once again favour the defending champions and their all-dominant works engine.